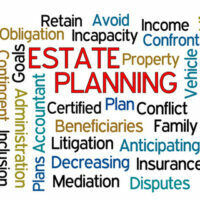 When it comes to estate planning, asset protection is a chief concern among individuals. They want to ensure that they secured to facilitate an accurate and efficient distribution upon death. Additionally, individuals engaged in financial and estate planning seek to find ways to pool their assets into one reserve. This provides for efficient passage to individuals and to business entities. It also provides for better control of the funds coming in and out of the source and allows for easy tracking. There is one mechanism that encompasses all of these features: trusts. A trust is an arrangement that authorizes one party (the trustee) to hold assets on behalf of another person (a beneficiary of beneficiaries). It is a property right where the property being held in the trust is separated from the assets of the beneficiary. The trustee holds legal title of the trust and the beneficiary holds equitable title. In other words, the trustee has the right to watch over the trust and direct its growth. The beneficiary is entitled to reap the benefits of the trust. All trustees owe a fiduciary duty to its beneficiaries. The person who transfers his or her property into the trust is known as the “settlor” of the trust. One can hold a plethora of assets and interests in a trust including business interests, investment accounts, bank accounts and real property. This means that the house you purchased after college as well as your interest in a business partnership can live in the same legal document. Trusts vary in function and duration depending on the purpose for which it was created. There are two main types of trusts. A living trust is created by the settlor during his or her lifetime. The settlor, during his or her lifetime, has the authority to alter or revoke this trust. If a settlor should become deceased after creating the trust, then the trust becomes irrevocable. A testamentary trust is a trust that is created under a will. This type of trust is generally created for the purpose of distributing assets when the settlor becomes deceased. All testamentary trusts are revocable until the settlor becomes deceased. This is the case because a testamentary trust does not come into existence until the settlor is deceased. Irrevocable living trusts are excluded from probate and thus are untouchable by the government when a person passes. Instead, the beneficiaries gain access to the assets depending on the directive in a will or per the issuing document of the trust. Assets that do not pass through probate can save on court costs, fees and time. Irrevocable trusts are generally not taxable and can save beneficiaries money. Lastly, in most cases, creditors may not have access to an irrevocable trust. A trust is an important tool for protecting your assets and it is highly useful for estate planning purposes. Contact the Law Offices of Larry E. Bray, P.A. in West Palm Beach to determine the kind of trust that best fits your interests and needs.